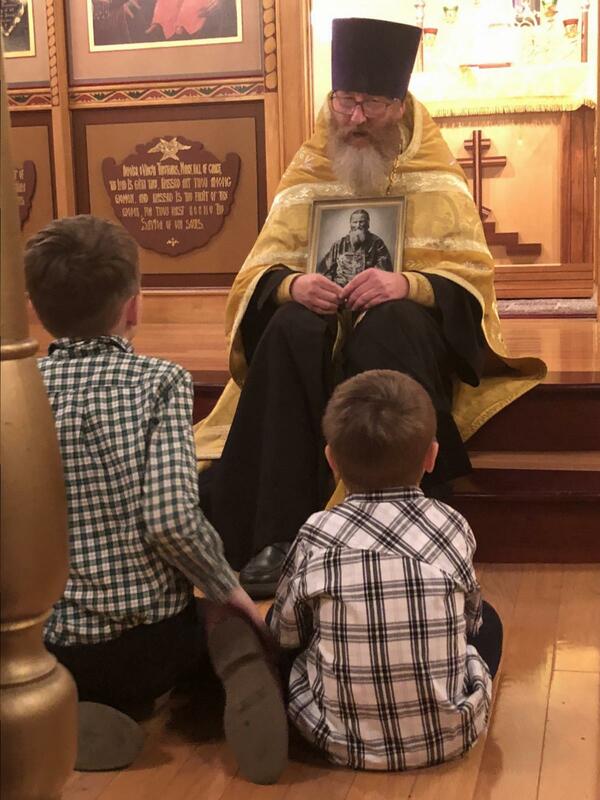 On Wednesday evening, October 31st, we held a Vespers service for the beloved Saint John of Kronstadt. 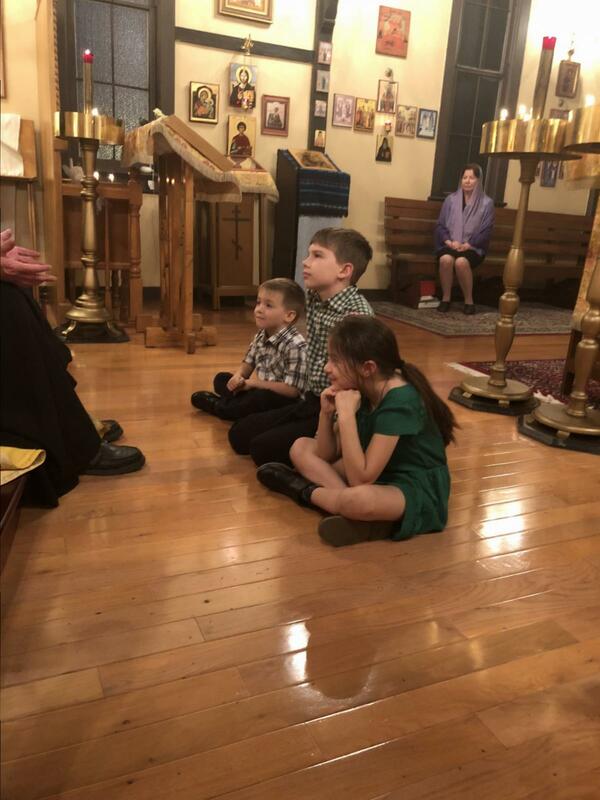 Following the Vespers service, Father Martin gathered children at the steps to speak to them about the life of St John and to teach them a simple lesson from his writings. St John often taught that evil cannot be defeated by evil, but only by love. Using this theme, Fr Martin told the children a story about a little wooden house that was on fire. Two firetrucks came to the rescue to put out the fire... The fireman from the first truck came with a bucket full of fire and poured the fire onto the burning house. What happened? The fire just got bigger! The fireman from the second truck came with a bucket full of water and poured the water onto the burning house. What happened? The fire was put out by the water! In exactly the same way, when someone is being mean or angry, we must not respond with more meanness and anger. The only thing that will quench that meanness and anger is responding with patience, with peace, and with love. After the short sermon, the children venerated the icon of St John and each were given a little 'goody bag' full of treats. 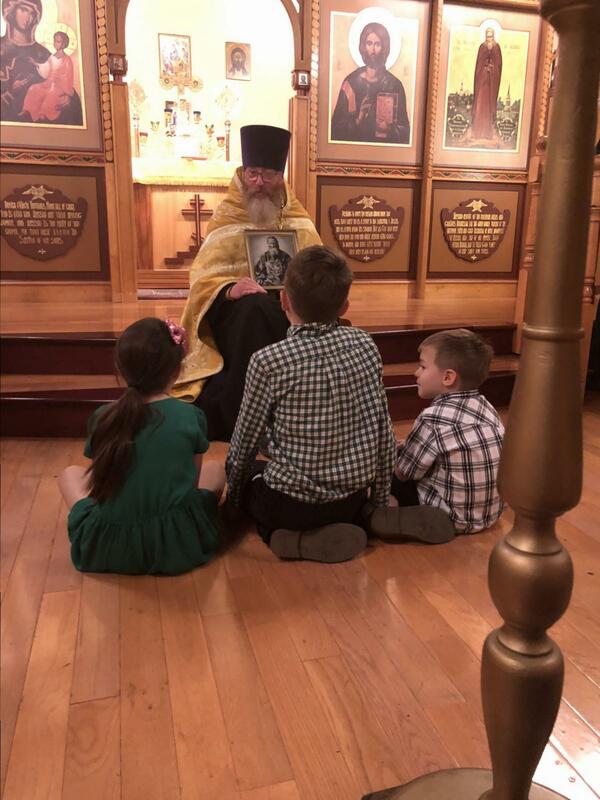 It was a beautiful and grace-filled service, offered to our children as an alternative to the ghoulishness being celebrated that Halloween night. May God protect and preserve the innocence of our young people and shine the light of His grace upon their hearts.